Being environmentally friendly is now more of a must than ever before as if we fail to take care of our surroundings there will be a scarcity of resources left for future generations. We all have items that can't or shouldn't be laundered in the weekly wash and should be taken to the dry cleaners, but dry cleaning doesn't need to be damaging for the environment – step forward our super speedy, efficient and sustainable friends at Champion Cleaners. 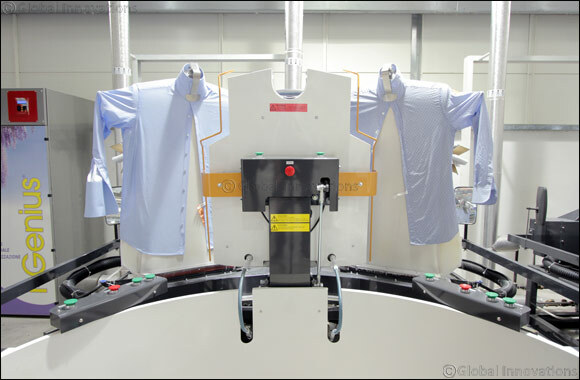 As a leading and innovative dry-cleaning business, Champion Cleaners have always been the first to adopt and invest in the latest revolutions in technology and the environment. In order to make its processes more efficient, they minimize the environmental impact and meet the needs of consumers demanding eco-friendly products with superior cleaning. With a slate of initiatives UAE-wide Champion Cleaners are on the mission to help make an effective change and also motivate various others to socially adopt these practices. • GreenEarth Cleaning, a patented solution that is liquid silicone based and is clear, odorless and non-toxic to soil, water or air. It is very gentle on textiles and can be ideal for effectively deep cleaning the most delicate of fabrics and lace, satin beadwork and sequins. • Excello Wet Cleaning Technology, the most advanced and safest professional method of green soft wash available today as this technology helps to save big on water, is solvent-free and an energy saver. • i- Genius technology, a chemical free ozone cabinet that deodorizes quickly thoroughly especially suitable for protective equipment that cannot be washed or dry cleaned. To make your dry cleaning even easier, they also offer their unique mobile service application that can be downloaded for free from the App store and play store. It allows full accessibility regarding the status of dry-cleaning and the professional services are available at a simple click of a button. The new application includes a price list, visual instructions along with weekly and monthly deals to ensure customers are always aware of the latest promotions. Champion Cleaners has 34 locations across Dubai and Abu Dhabi. Customers can also schedule a convenient pick-up and delivery or can download the new Champion Cleaners UAE app on all app-stores and play stores now.